Strap has a hole for a jibbitz! 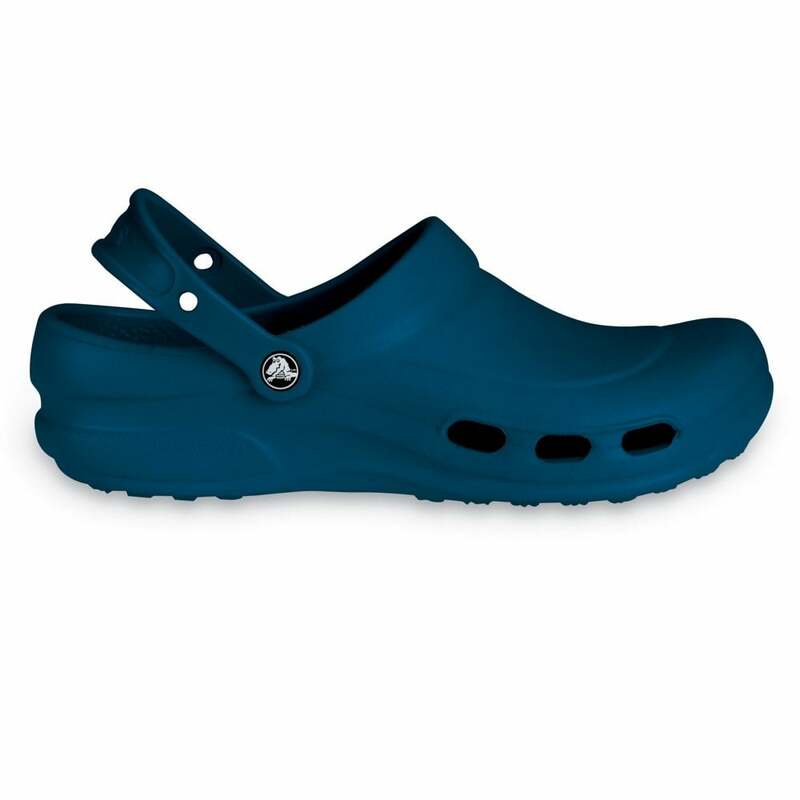 The sister shoe of the Specialist, this Croc has all you need from a work shoe, plus the added bonus of the side ventilation ports, great if you are working in a warmer environment. These lightweight Crocs are designed for those of you that seem to spend all day on your feet! Kiss goodbye to those aching feet & legs and make way for a real treat for your feet, let us introduce you to the Specialist Vent! Even a hole in the strap for a jibbitz - how cool is that! Work shoes don't have to be boring! The Specialist Vent is available in some great funky and fun colours, so cheer yourself and your workplace up with some 'sunny side up' footwear! If you work long hours you're sure to be a fan of the Klean Kanteen range available too. Good colour for the summer. Efficient service as usual. Thank you. Never tried crocs before. Wish i had. They are great. So soft on feet and yet tough. When i take them off and drop them they right themselves so ready to slip on again.